The EVGA SuperNOVA 1300 G2 power supply is here. 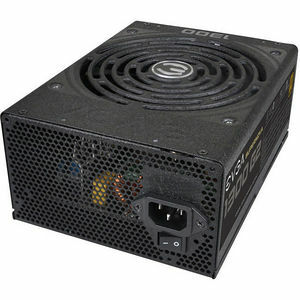 This power supply raises the bar with an 80 Plus Gold rating, with 1300W of continuous power, exceptional efficiency and a fully modular design. Not to mention, a first class 10 Year EVGA Warranty. The entire electrical design was engineered to be efficient, silent and optimized for the enthusiast. Take your system to the max with the EVGA SuperNOVA 1300 G2.